"I want to study her." "She'll break your heart." 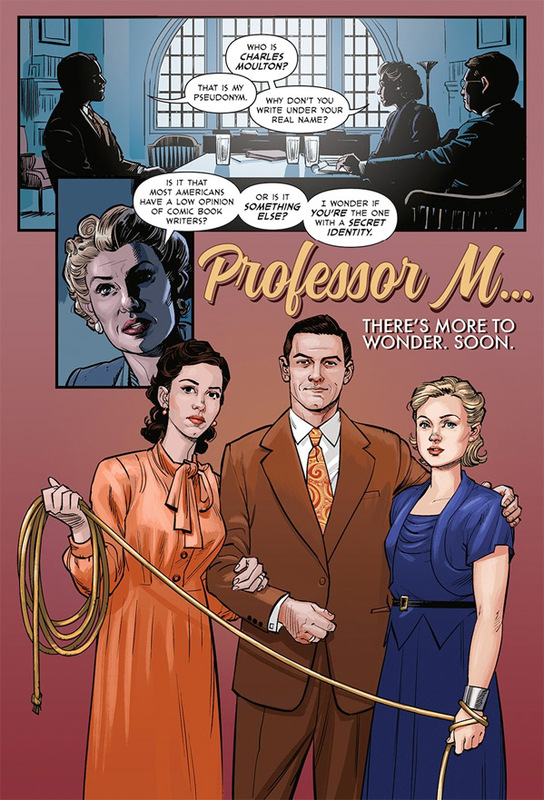 Annapurna Pictures has debuted a new full-length trailer (just in time for Comic-Con) for the film called Professor M for short, or Professor Marston & the Wonder Women. The film is about the origin of the DC superhero Wonder Woman, and the man and two women responsible for the character. She first appeared in All Star Comics #8 in October of 1941, then on the cover in 1942. Luke Evans plays Dr. William Marston, who was in a polyamorous relationship with his wife, Elizabeth, and a former student of his, Olive Byrne. The film focuses on how Marston dealt with the controversy surrounding Wonder Woman's creation. Rebecca Hall stars as Elizabeth Marston, and Bella Heathcote as Olive. We finally get some footage in this trailer and it looks damn good, I am all in for this. You can also still watch the first teaser trailer for Professor M & the Wonder Women here, to see more. The story of the unconventional life of Dr. William Marston, the Harvard psychologist and inventor who helped invent the modern lie detector test and created Wonder Woman in 1941. Marston was in a polyamorous relationship with his wife Elizabeth, a psychologist and inventor in her own right, and Olive Byrne, a former student who became an academic. This relationship was key to the creation of Wonder Woman, as Elizabeth & Olive's feminist ideals were ingrained in the character. Marston died of skin cancer in 1947, but Elizabeth & Olive remained a couple and raised their and Marston's children together. Professor M, or in full Professor Marston & the Wonder Women, is written and directed by filmmaker Angela Robinson, the director of D.E.B.S. and Herbie Fully Loaded previously. Annapurna will release Professor Marston & the Wonder Women in theaters on October 27th in the fall. Visit ProfessorM.movie.